to help your chipping. Follow these guidelines and I'm sure you will improve your scores. 1. Grip down on the shaft. 2. Ball position slightly back of center. 4. Weight on the front leg which moves the hands ahead of the ball. 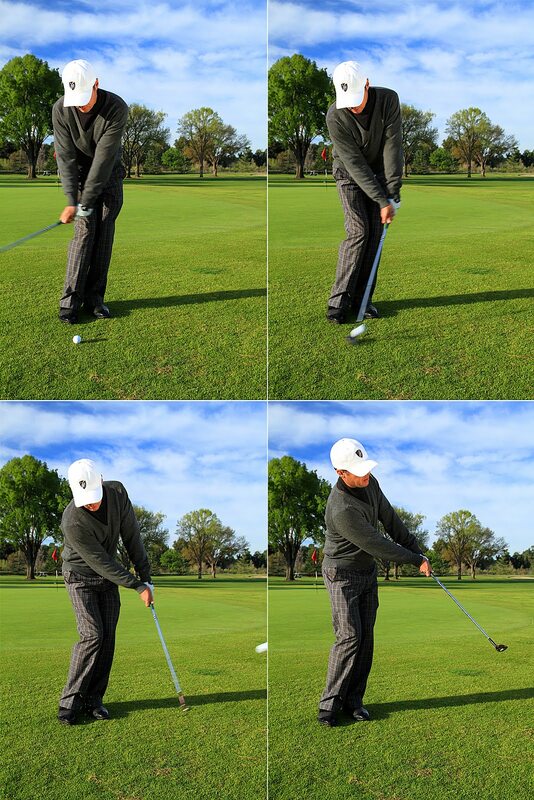 Once this check list is in order, simply turn the body back and through keeping the hands and wrists out of the shot. 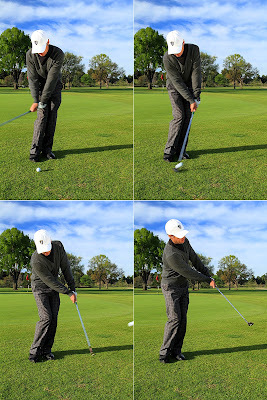 Hold the finish and make sure the body is facing the target and the shaft points toward the ground.